$29 more for the Factory Tuning System on top of the $130 for the rebuild. All of the parts(shims and piston) on the left side of the first pic would have stayed inside the shock. The compression shims are all warped from shim fatigue, glad I had the work done. Last Edit: 7 years 3 months ago by boogenman. 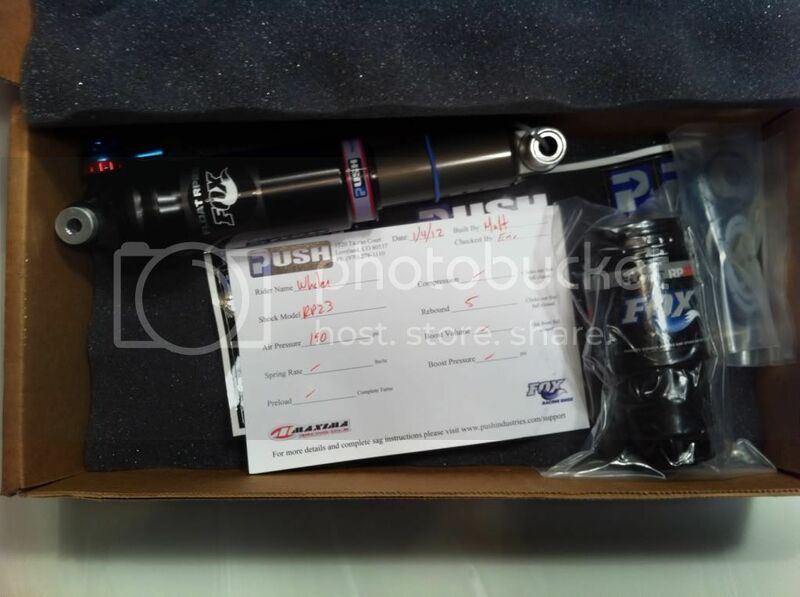 I just got my rear shock back from Push Industries! 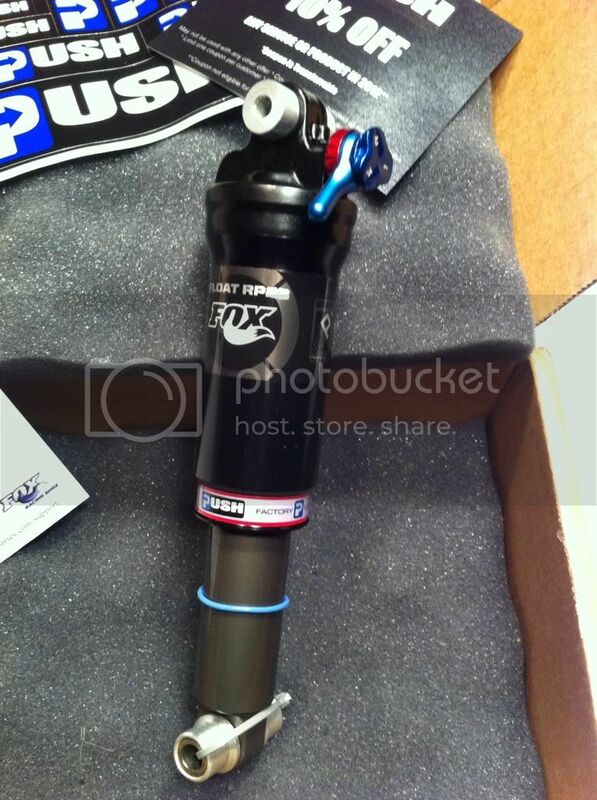 This was #1 on my list of needed upgrades, my rear shock was in desperate need of a rebuild and I needed the standard air can. I also paid a bit extra ($29)to get the Factory Tuning System. After getting some other stuff Push tuned in the past I'm a firm believer in getting my stuff tuned for my weight, style and bike. 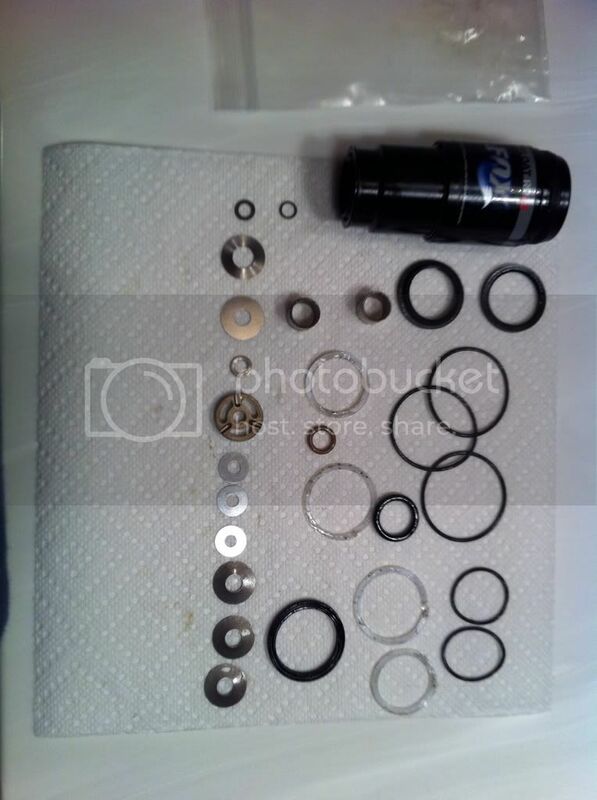 I'm also looking at the Sun Ringle Charger Pro wheels and the Shimano XT PD-M785 pedal, anyone here use them? I read that they are really durable and an all around nice pedal.